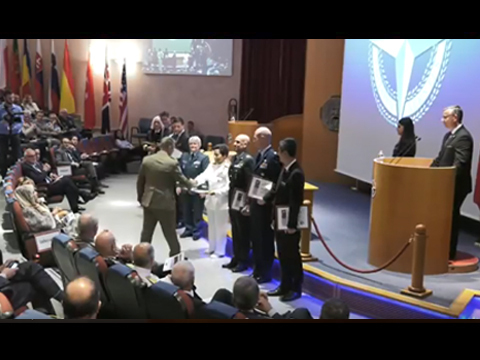 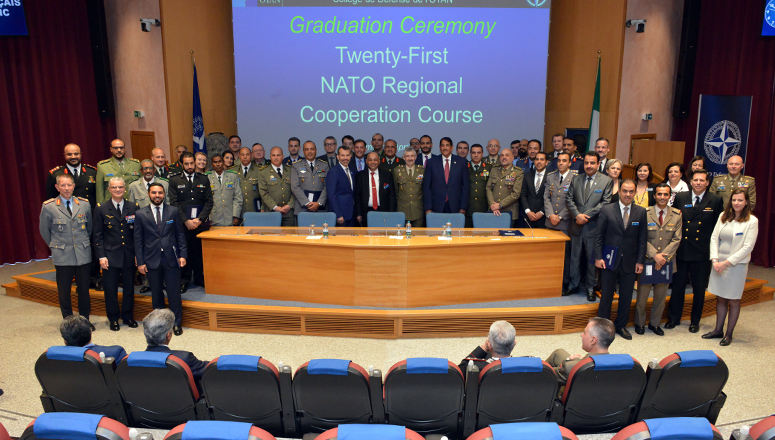 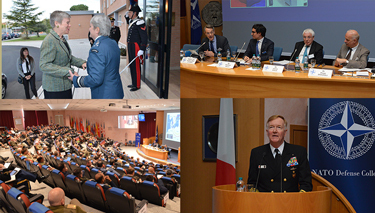 On 18 April 2019, the NATO Defense College (NDC) celebrated the graduation of the 21st NATO Regional Cooperation Course (NRCC-21). 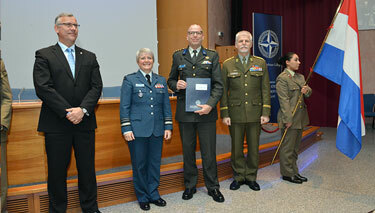 The ceremony was attended by Ambassadors, Defence Attachés, NRCC-21 family members and NDC staff. 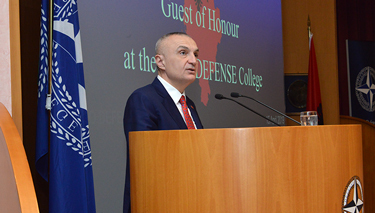 The guest of honour was Brigadier General Alfonso García-Vaquero Pradal, Special Adviser on Defence Diplomacy to the Secretary General for Policy at the Spanish Ministry of Defence.  10 Apr. 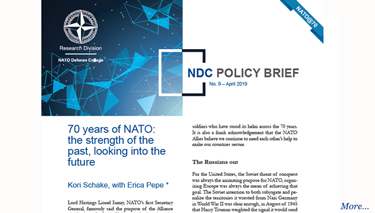 2019 NDC Policy Brief 9-19: "70 years of NATO: the strength of the past, looking into the future"
09 Apr. 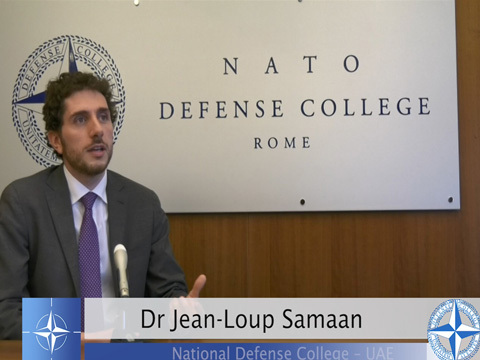 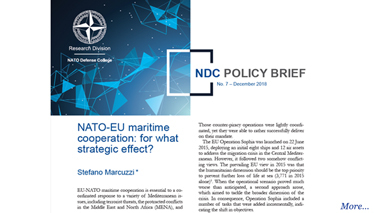 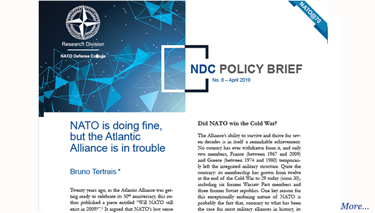 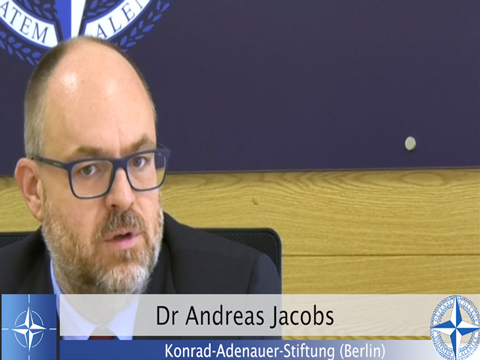 2019 NDC Policy Brief 8-19: "NATO is doing fine, but the Atlantic Alliance is in trouble"
04 Apr. 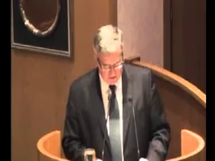 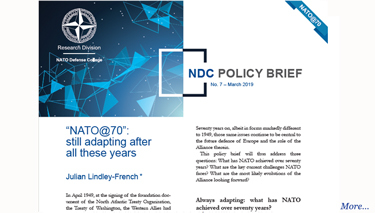 2019 NDC Policy Brief 7-19: "“NATO@70”: still adapting after all these years"
31 Mar. 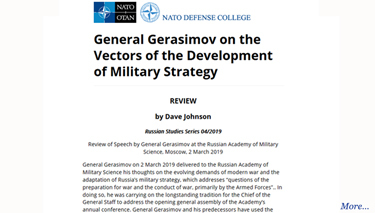 2019 Russian Studies 04/19: "General Gerasimov on the Vectors of the Development of Military Strategy"
30 Mar. 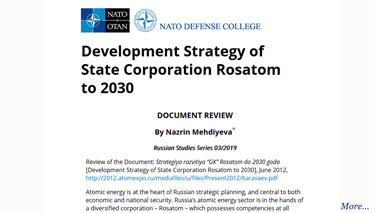 2019 Russian Studies 03/19: "Development Strategy of State Corporation Rosatom to 2030"
26 Mar. 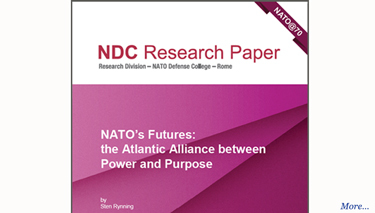 2019 NDC Research Paper 2: "NATO’s Futures: the Atlantic Alliance between Power and Purpose"
20 Mar. 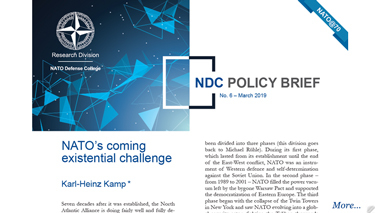 2019 NDC Policy Brief 6-19: "NATO’s coming existential challenge"
18 Mar. 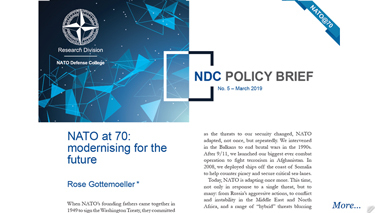 2019 NDC Policy Brief 5-19: "NATO at 70: modernising for the future"
07 Mar. 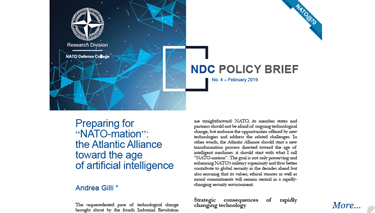 2019 NDC Policy Brief 4-19: "Preparing for “NATO-mation”: the Atlantic Alliance toward the age of artificial intelligence"
05 Mar. 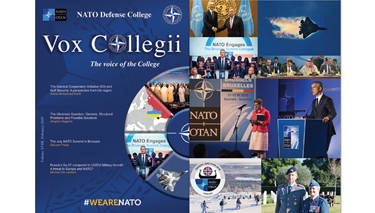 2019 PAO Publication 18: "Vox Collegii Magazine Vol XVIII (18)"
01 Mar. 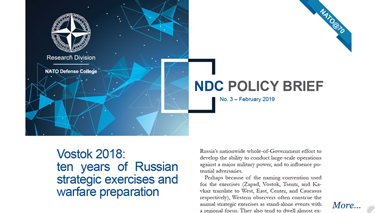 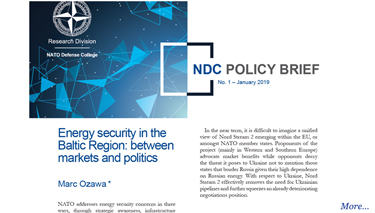 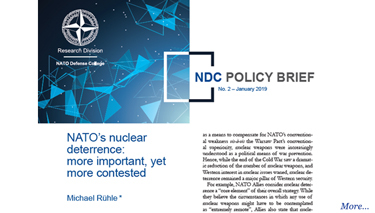 2019 NDC Policy Brief 3-19: "Vostok 2018: ten years of Russian strategic exercises and warfare preparation"
05 Feb. 2019 NDC Policy Brief 2-19: "NATO’s nuclear deterrence: more important, yet more contested"
29 Jan. 2019 NDC Policy Brief 1-19: "Energy security in the Baltic Region: between markets and politics"
22 Jan. 2019 Russian Studies 02/19: "Fundamentals of the state policy of the Russian Federation in the field of naval activities for the period until 2030"
14 Jan. 2019 NDC Policy Brief 7-18: "NATO-EU maritime cooperation: for what strategic effect?" 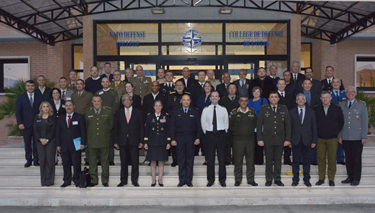 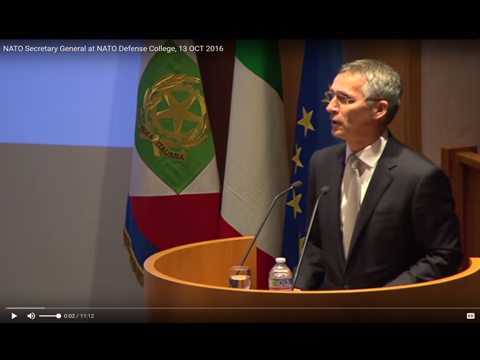 01 Sep. 2017 The NATO Defense College Global Engagement Strategy. 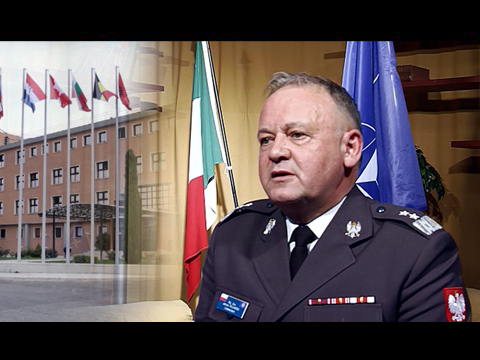 The Commandant Lieutenant General Chris WHITECROSS’ view. 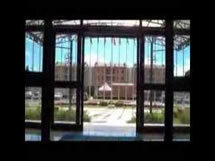 09 Apr. 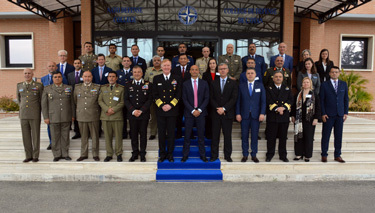 2019 What priorities for NATO? 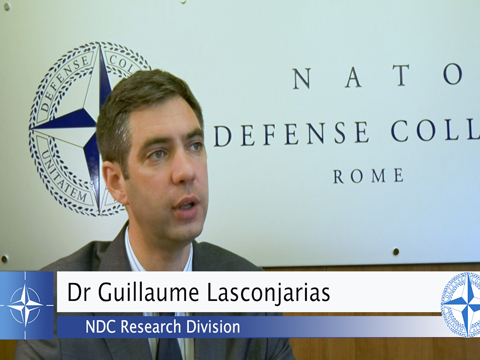 13 Nov. 2018 Is China Ahead of America in Next-Generation Unmanned Aircraft? 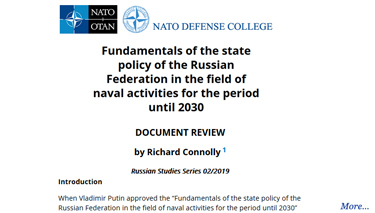 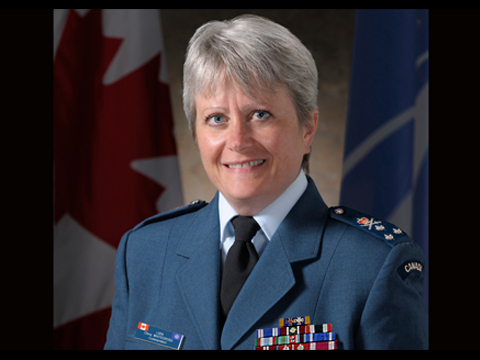 Modular Short Course 134-4 "Centres of Power"
Modular Short Course 134-5 "Global Security Challenges"
The Senior Course is the College's core business. 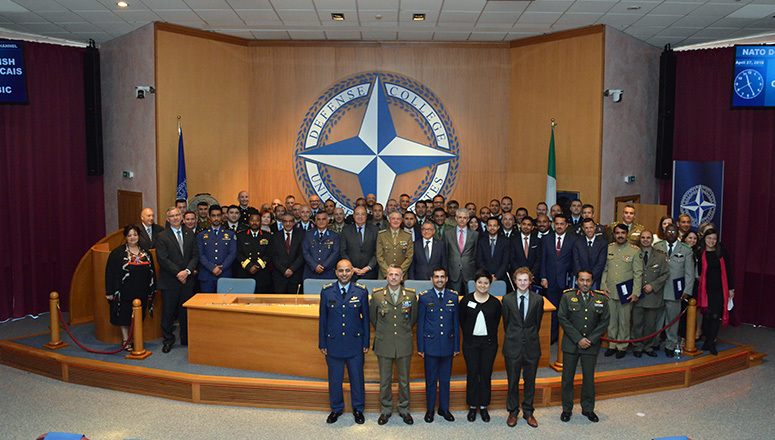 The NDC offers also a variety of short courses for specific audiences, such as the General and Flag Officers and Ambassadors' Course, the Modular Short Courses (MSC) and Integrated Partner Orientation Course (IPOC) and the NATO Regional Cooperation Course (NRCC). 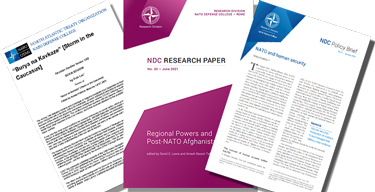 Present NDC Research Division publications include papers generated by members of our Division as well as external authors. 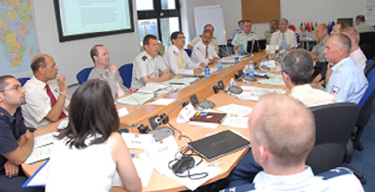 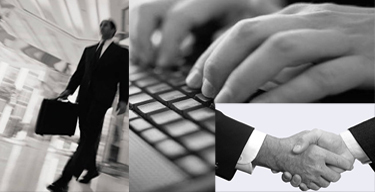 Civilian candidates can apply only if they meet the required qualifications. 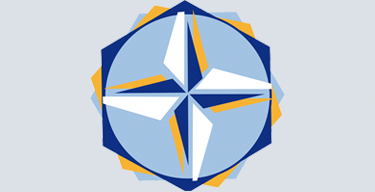 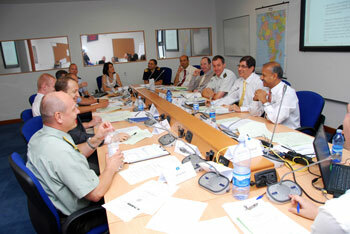 Only nationals from the 28 member states can apply for vacancies at NATO. 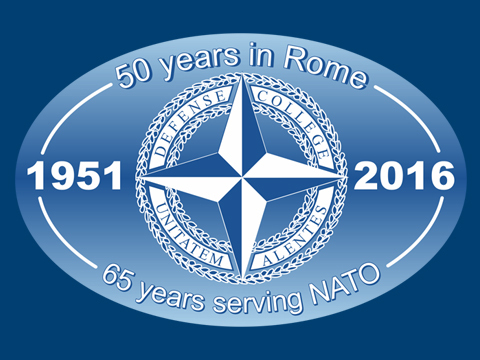 These principles stated in the preamble to the Washington Treaty of 1949 are our heritage.